A valley of meandering Rokytná river is outstanding for its preserved landscape. Plenty of river meanders with old growth on banks and numerous rocks with densely forested and inaccessible slopes. Unlike in other, more famous areas, you can find here unspoilt nature to relax in and get the energy you need. Since 1992, Jevišovka has been a nature park occupying almost 14 thousand hectares of jagged terrain. Among its significant phenomena with totally different conditions, there is the river of Jevišovka and its close surroundings – alluvium – and dry and sunny slopes lining the river. Quite rare fish species have been found in Jevišovka, such as bleak, eelpout, and bitterling. In the area along the river you can spot dice snakes and common kingfishers. Deep pools and local marshlands are full of newts, salamanders, and all kinds of frogs. Rudlické kopce (Hills of Rudlov) are another nature reserve established to protect steppes, together with other seven areas. 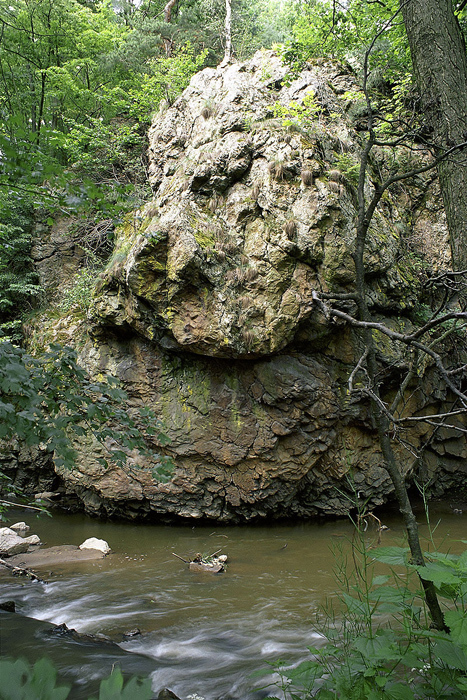 Given that this territory had been populated in the Old Stone Age, you can find here numerous historic locations, such as Nivky u Hlubokých Mašůvek with the world-wide known statuette of Hlubokomašůvecká Venuše. Sýpka restaurant (perfect and quite cheap meals), U suchého čerta (recently rebuilt), an indoor swimming pool with salt water in Sýpka, bowling, dam, castle and a chateau. The nature track along the river starts at the school, and the recently-built biking paths lead to all directions. The wine town. Loucký klášter (monastery) with cellars belonging to a big wine producer – Znovín – where you can buy excellent wine and cheese. 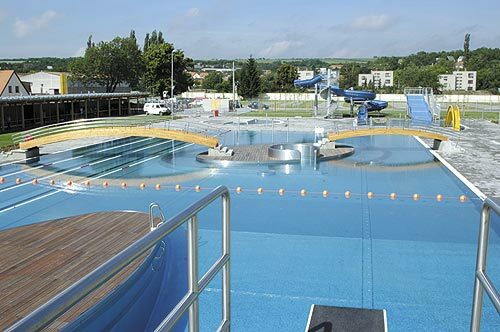 Also, there is a large outdoor swimming pool with lots of amusements. 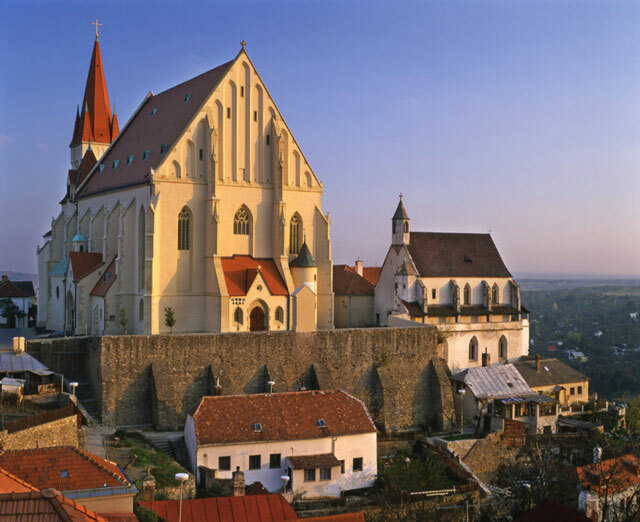 Znojmo was established in the Middle Ages and it has preserved its historical sights, such as St. Catherine’s Rotunda, the Castle of Znojmo (a museum of the region), and a number of significant churches – St. Nicholas’s, St. Michael’s, and others around Znojmo. The view of Gránické údolí (valley), the Dyje river and the dam are unforgettable sights. We also recommend to climb up Radniční věž (Townhall tower) up to the gallery (view of Austria) and to descend to the historical underground. Feeling still cold after visiting the underground, you may appreciate to get warmer on the tourist train. In July, a music festival of Znojmo is regularly held (featuring all kinds of genres, ranging from local dulcimer bands to opera singers), and in September there is the most famous event – Znojemské historické vinobraní (Historical Grape Harvest of Znojmo). You just have to be there! A big mall and a Moravian “Disneyland”, lots of excellent restaurants, casinos, and stores of famous world brands. For swimming and fishing enthusiasts and for fans of history. 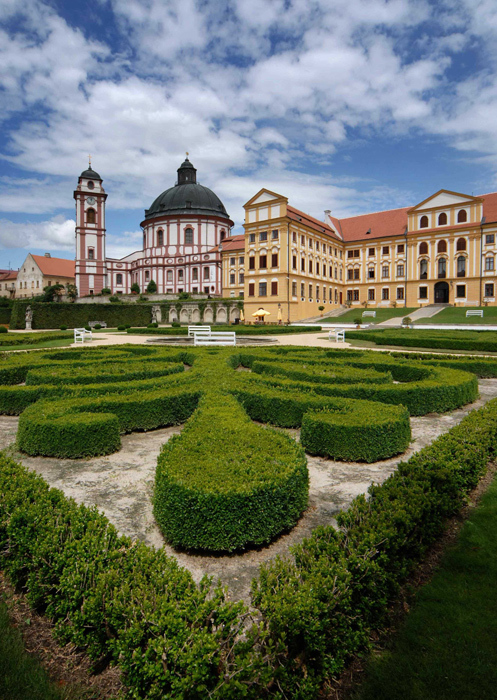 We recommend to visit the Castle of Bítov, the chateau of Vranov nad Dyjí, and the ruins of Cornštejn (the most romantic place in South Moravia). This park is connected with the Vranov region mainly by biking paths in its protected area. It is a canyon of the Dyje river so it can be quite demanding for bikers. 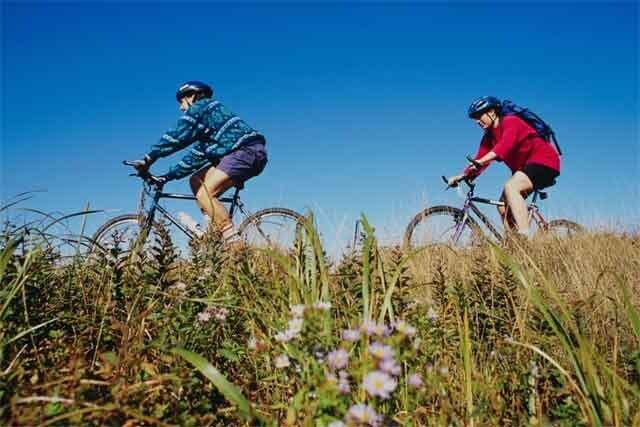 We recommend to take a hike or a bike ride to Šobes – a well-known vineyard. During summer holidays, you can taste there wines from the vineyards of Znovín. Do not forget to visit a number of vantage points and the ruins of Nový Hrádek. If you want to visit Austria, use a crossing in Hardegg. There is no better and more picturesque view of this smallest town of Austria. A baroque chateau with a beautiful garden. 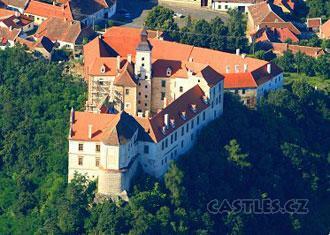 Towards the end of August, music festivals of Peter Dvorský, a famous opera singer, are held here. A Jewish neighborhood protected by UNESCO, the cathedral of Třebíč, and an outdoor swimming pool. Just next to Pulkov there is Mlynářská stezka (Mill’s path) which crosses Trasa ságy a mýty (Path of Sagas and Myths). Also, there are a number of paths for hiking and biking, all of them marked very well. We recommend this map – www.shocart.cz – Podyjí, Thayatal – 164. The dam of Vranov offers a big number of leisure time activities, such as pedal boats, table tennis, playgrounds for kids, and various others. 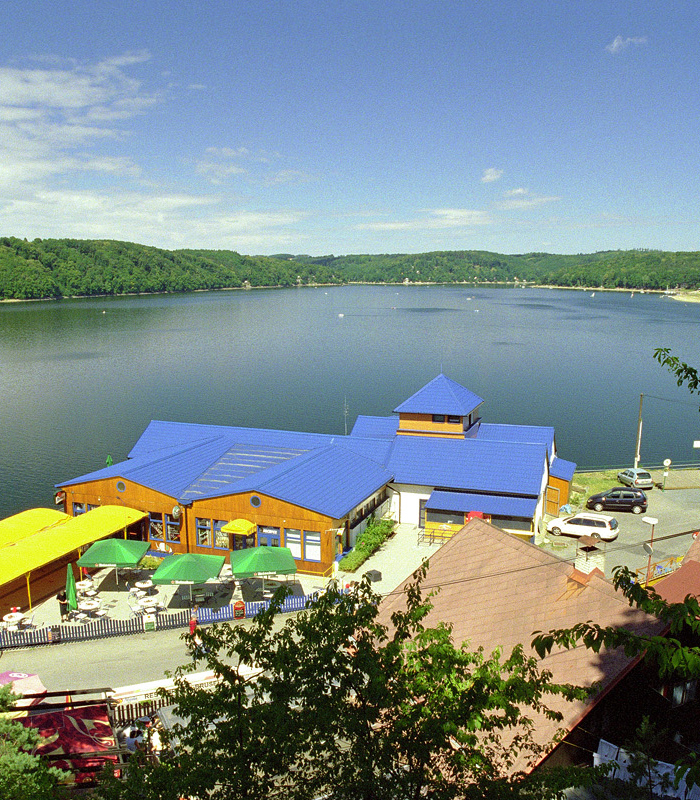 It is possible to take a swim at a beach of Bítovská zátoka (Bay of Bítov) and some other places. At the Vranov beach, for example, it is possible to take a ride down a huge helter-skelter. In warm years, the water temperature is comfortable from the beginning of June till half of September. 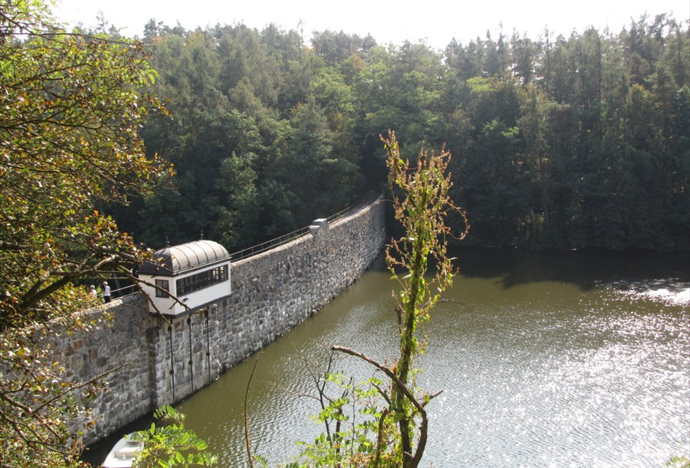 In 2005, tourist boats were reintroduced on the dam. 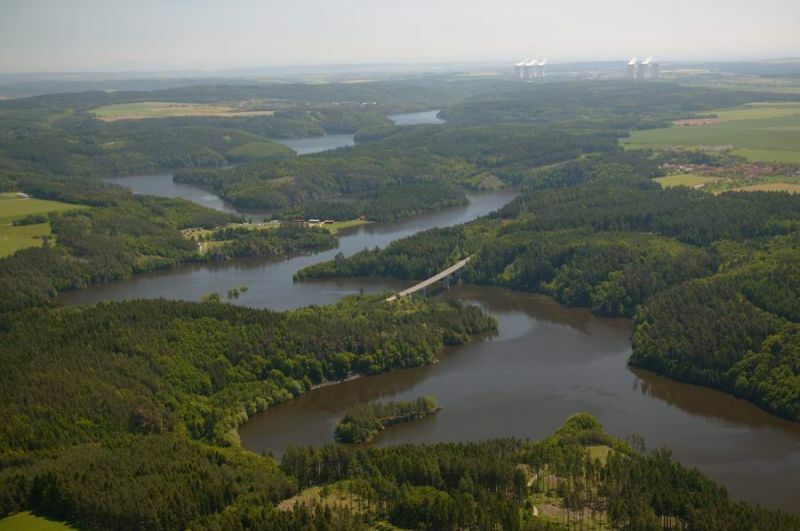 Vranov dam is 35km long, but given its numerous meanders, all the areas of the dam with various fishing stations are located within 15km from Vranov. In the dam as such, at Švýcarská and Lančovská zátoka (bays) you can find mostly pikes, asps, zanders, and carps. The area of Bítov is famous for its breams, Farářka for its record-breaking catfish, and at the beginning of the dam in Podhradí nad Dyjí you can even find eels. As for the local records, there has been a catfish of 93 kilos, a pike of 27 kilos, and an eel of more than 4 kilos. You can always go fishing also to Jevišovická přehrada (dam) and also here in Pulkov in Rokytná (at the weir). There are tennis courts in Rokytná close to Biskupice (5km). 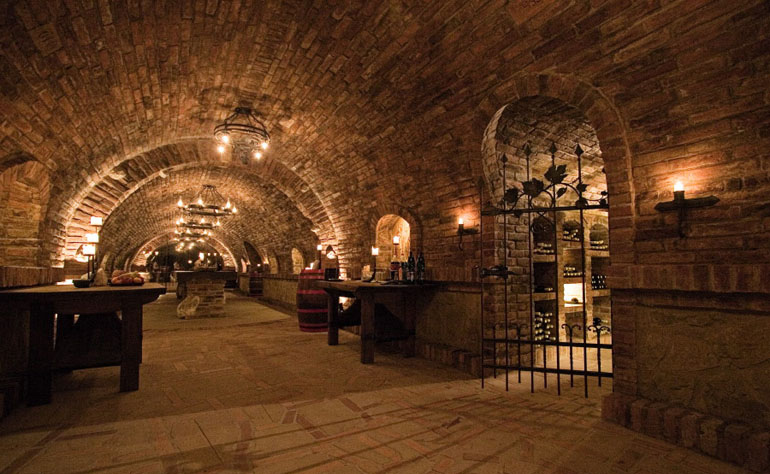 We recommend visiting Moravský sklípek (Moravian wine cellar) in Šatov, belonging to Znovín. When the forests are damp, mushrooms grow just everywhere. 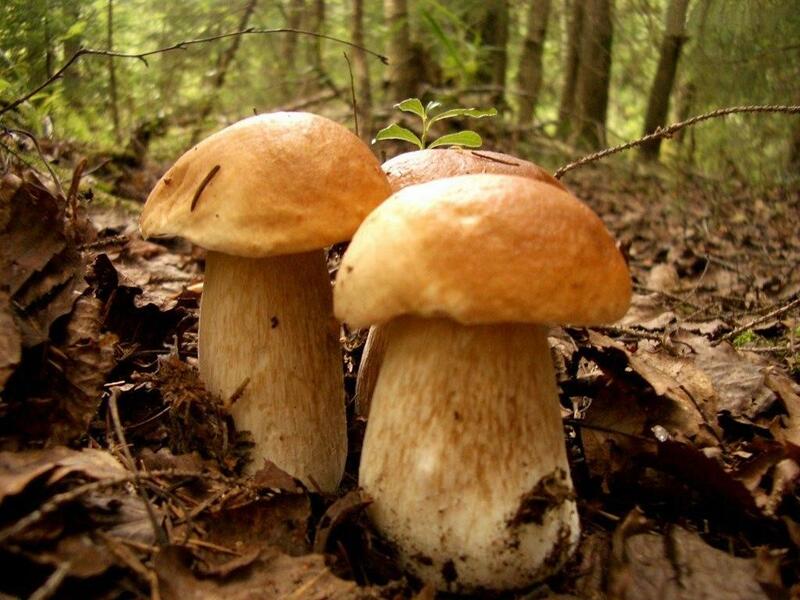 And since these are huge forests with just a minimum number of tourists, the mushrooms are there only for you.